I hate to admit this, but I was having a vegan + gluten-free baking dry spell. It happens. My baking experiments the past few weeks have not been meeting my expectations. So I entered into today's 'sweet potato brownie' baking experiment with a bit of hesitation. I needed a win. That, and chocolate. Then in swooped these brownies. Thank goodness! 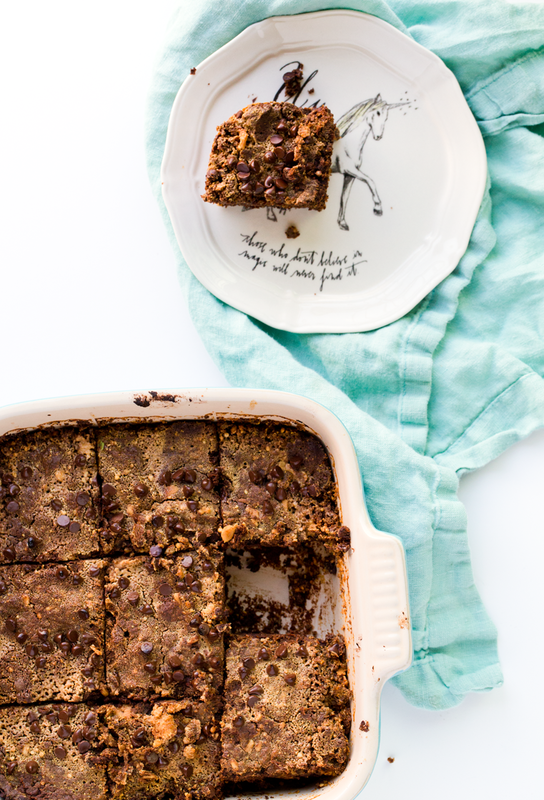 These Vegan Peanut Butter Buckwheat Sweet Potato Brownies are everything I was craving. 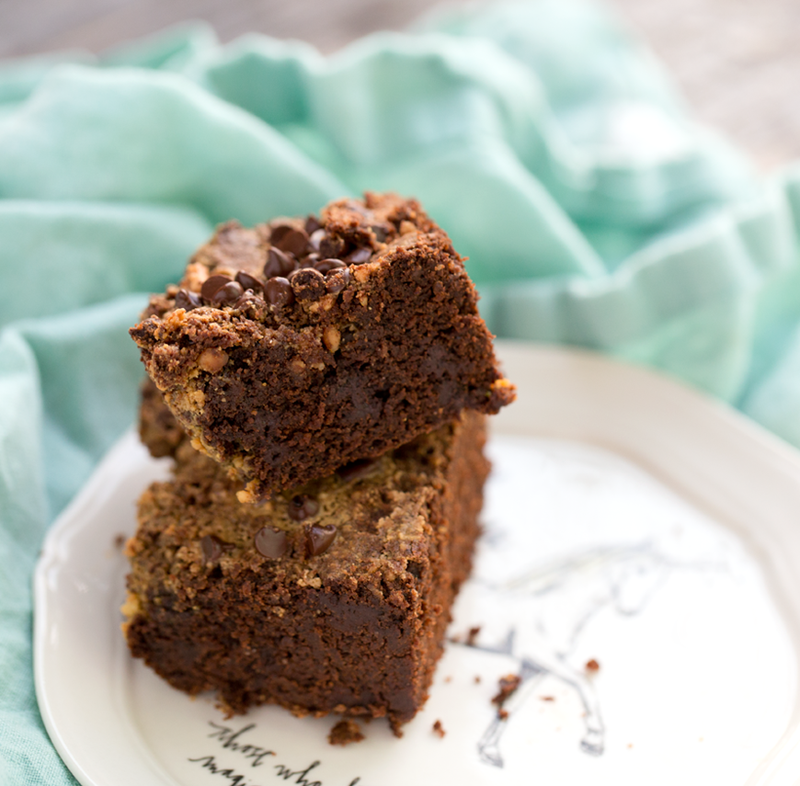 Fudgy and rich, yet fluffy and slightly cake-y. It's all here: the peanut butter crumbling on top and around the edges, the fudgy insides, dense with chocolate and coconut oil. So much YES in each bite. 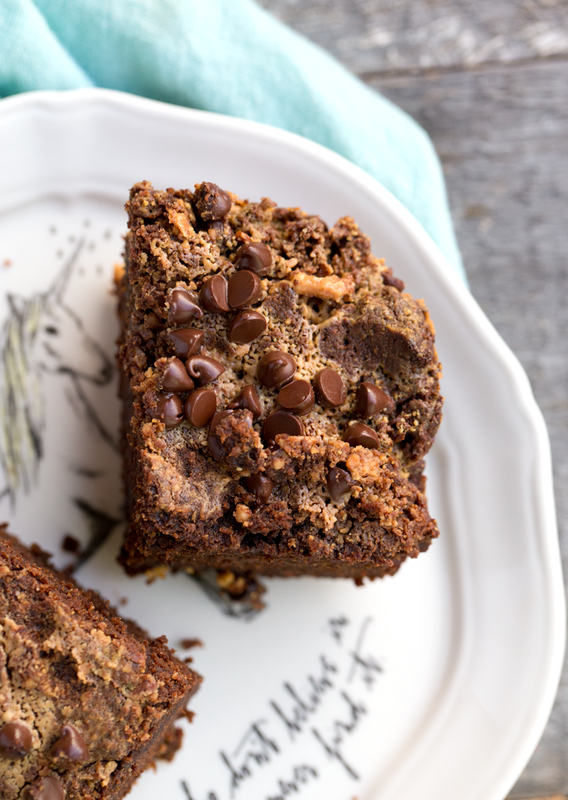 These are not too sweet, but also a perfectly decadent treat, with a healthy side. 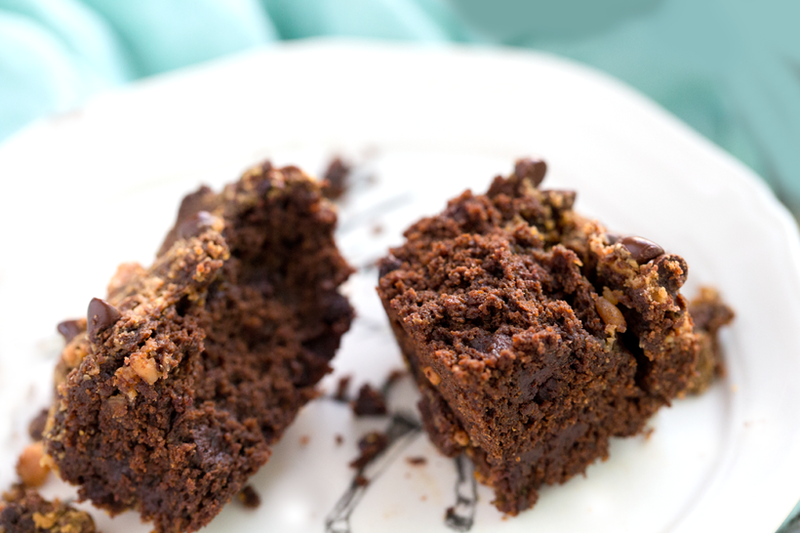 True story: these just may be my fave brownie recipe yet. But I am not terribly surprised by that, I mean the whole 'sweet potato brownie' thing is pretty perfect. Sweet potatoes can do no wrong in my book! They keep your brownies egg-free, while adding some serious texture and fudginess AND natural sweetness. Boom. Brownie heaven awaits you!.. Not sure if this photo does these justice, but SO. Much. Fudgy. in there.. There is something about a brownie kitchen. The rich yet vanilla-y aroma of brownies in the air. The anticipation of diving a knife into that baking dish, slicing them into perfect, or not so perfect, squares. Saving that ideal corner piece for yourself. But the funny thing is, I used to hate brownies. Like, despise them. When I would go to parties in high school and everyone would get giddy about baking brownies, I would snarl and cringe. Too sweet. Too rich. Too much chocolate. I know, I know. But those old school brownie mixes are pretty intense. I am more a vanilla and peanut butter with a chocolate accent girl. 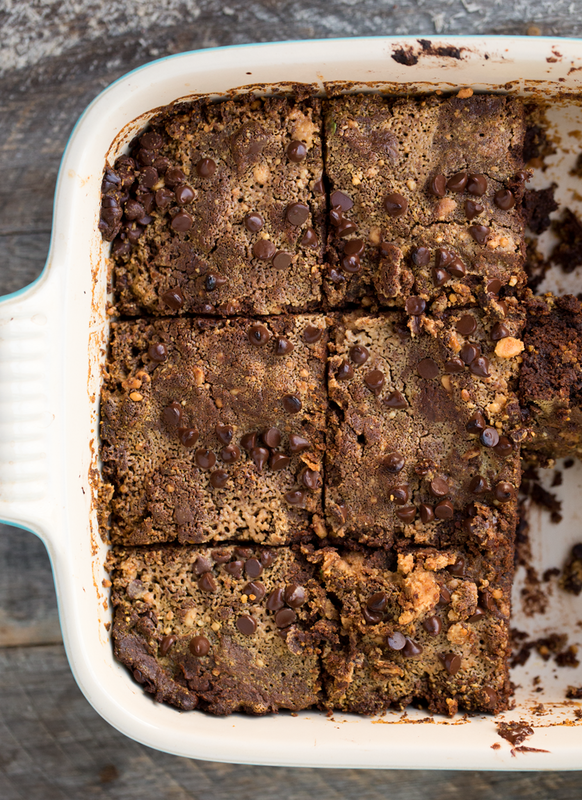 But really, you can make THESE brownies as rich as you'd like, simply by adding more or less chocolate chips! Easy. 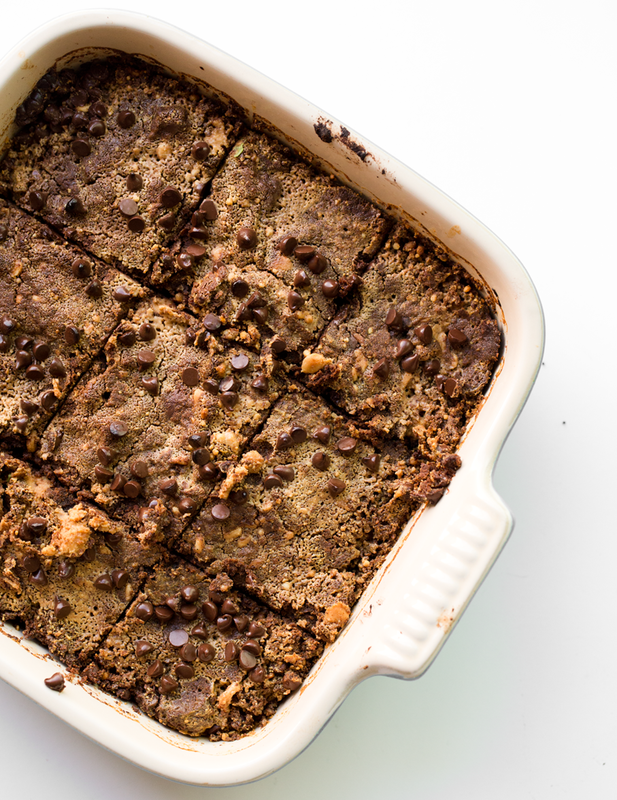 These brownies actually feel good to eat. There is major flavor, texture and chocolate appeal, but you can also tell that you are not going to go into a sugar coma or sugar high after eating one. Sweet Potato Baking. So if you have time, definitely bake a medium sized sweet potato in the oven (450 degrees for about 50 minutes). But if you are in a rush, you can totally microwave it. About 5-7 minutes usually does the job. Substitutions. 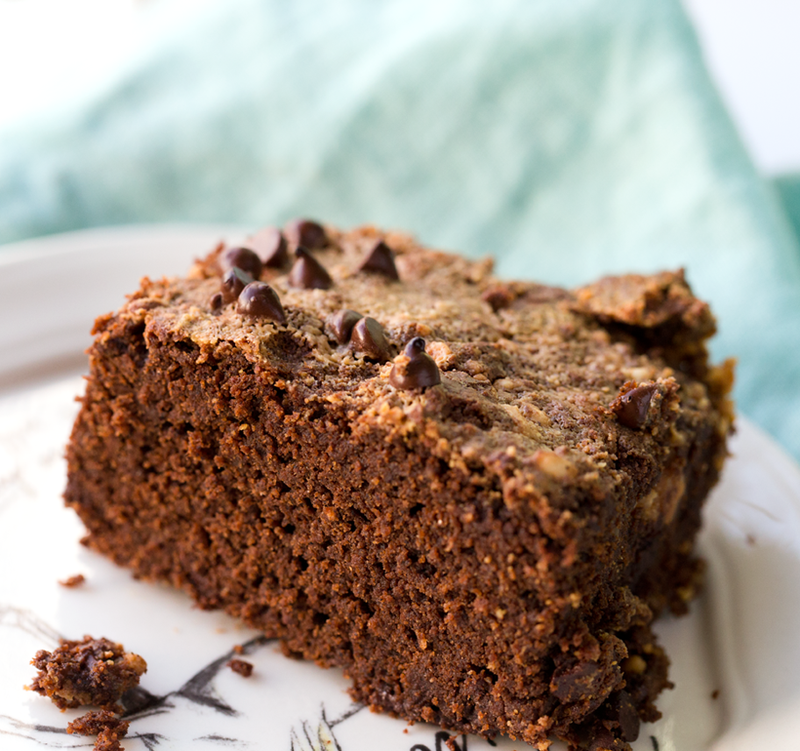 You can totally swap out the buckwheat flour for more whole wheat flour, if you need to. But try to find the buckwheat because it is so good for you! Naturally gluten-free. One of my favorite recipes in my cookbook HHVK is my buckwheat flour-made peanut butter cookies. Gluten Free Cooking Problems. 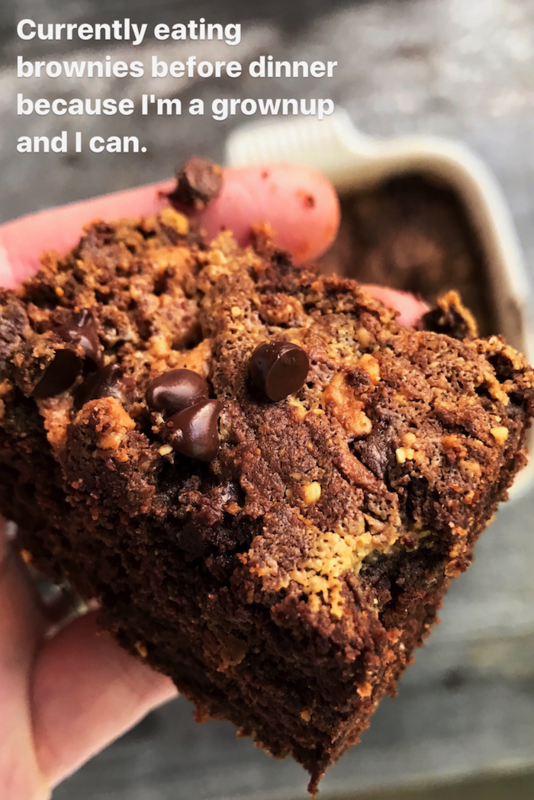 I have been doing this vegan cooking + baking thing for years and I still say it, vegan AND gluten-free baking can be tricky! Especially if you start to get fatigued from adding flax eggs to everythinggggg. Like I do. I am also really bad at making my flour mixtures too complicated. Some gluten-free flour blends can get pretty complex, but if I can just add one or two flours, I am happy. My favorite way to make gluten-free baking a little easier is to use whole foods to plump things up. Like in this recipe, sweet potatoes take on that role. Other worthy ingredients could be bananas, apples/applesauce, black beans/any beans or eve other vegetables like squash and more. 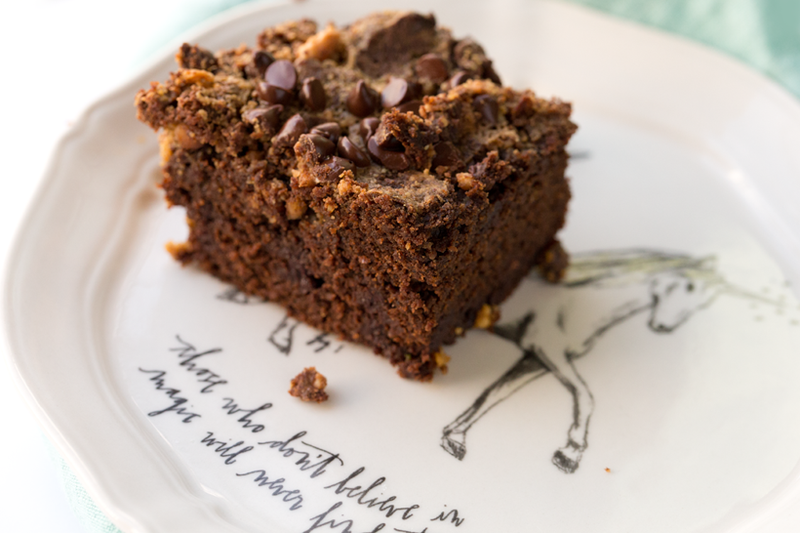 So, I hope I have inspired you to give these brownies a try! Ok, enough rambling, back to this recipe. Let me know if you try these!! 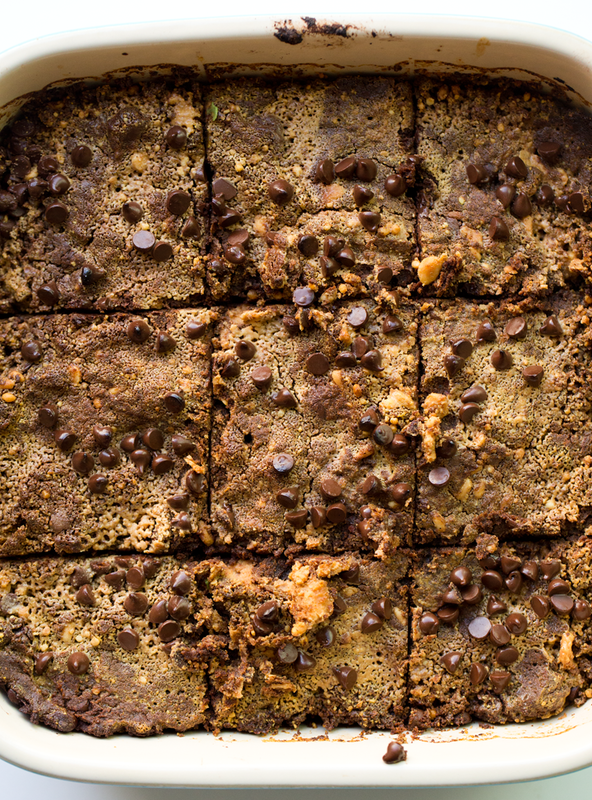 These super fudgy sweet potato brownies are made using buckwheat flour. These are super dreamy with peanut butter and coconut oil accents. *flour sub: sub with a gluten free blend or try using all buckwheat - not yet tested with these variations. Add all the "blend" ingredients to a blender or food processor. Blend until silky smooth. In a large mixing bowl, combine all the "dry" ingredients. Stir. Pour the blender mixture into the dry bowl and stir well until a thick and fluffy batter forms. Spoon the batter into the baking dish and smooth. Melt the coconut oil and peanut butter toppings in the microwave for about 20-30 seconds. Whip together. Pour this mixture over top the brownie batter. Swirl a bit with a butter knife. Add additional vegan chocolate chips over top if desired. Bake at 400 degrees for 25 minutes, or until edges begin to look very crumbly and the center firm. Do a toothpick test to doble check doneness. Allow the brownies to cool at least ten minutes before diving into them. Best when cooled at least a half hour, for easiest slicing.